Building on Overbury’s popular posthumous poem ‘A Wife’, Daniel Tuvill brought out his Asylum Veneris, or a Sanctuary for Ladies in 1616, the same year in which John Davies published A Select Second Husband for Sir Thomas Overburies Wife, Now a Matchlesse Widow. Identified with the reform-minded Protestant circle at a time when the court seemed rife with corruption after Overbury’s murder, both texts capitalise on the political marriage metaphor in which the wife figured the commonwealth and the husband her King. 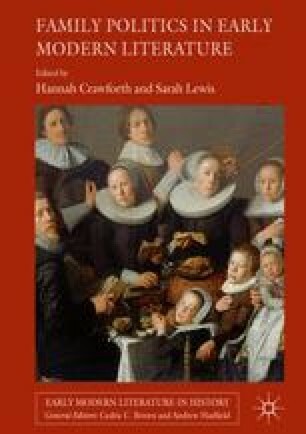 Offering an implicit critique of James I, Tuvill recommends the virtues of wifely counsel and powerful female rulers, while Davies delineates a husband/king who would provide Overbury’s ‘widow’ with an ideal match.